People might be sick of hearing about the rise of virtual currencies and their potential for economic disruption, but the use of the blockchain technology that underpins them is gaining traction. Ukraine features pre-eminently for mining the world’s so-called crypto currencies as its much vaunted information technology (IT) industry contrives uses for this unique software to ultimately build trust between citizens and their governments, while providing tools that offer security to business relationships and protect the integrity of crucial documents. This Ukrainian enthusiasm for all things blockchain-related was evident at the opening of the Blockchain Centre Vilnius in Lithuania in early 2018. This Centre is positioning itself to serve as a knowledge hub for the emerging technology in Europe. Part of a larger eponymous network that spans Melbourne and Shanghai, it hopes to attract the interest of a significant Ukrainian contingent. 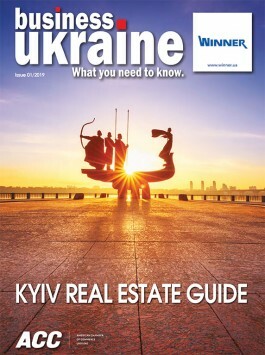 While acknowledging Ukraine as both an integral IT outsourcing destination replete with “talent” and where there is an “ongoing problem of confidence in public institutions,” Paulius Kuncinas, chairman of Blockchain Centre Vilnius, told Business Ukraine magazine that he wants the Baltic country’s hub to be a place for Ukrainians to feel comfortable and help them do business. “This should be a place to meet partners and somewhere they could raise capital and network. This is their home outside of Kyiv, Dnipro, Kharikiv, Lviv and Odesa,” he said of Ukraine’s largest cities where existing IT industry communities flourish. As the platform that drives virtual currencies such as Bitcoin, blockchain is a potential deal breaker and game-changer in both the public and private sectors. What exactly is blockchain technology? It is encrypted software often compared to either Lego blocks or pages in a book. It cannot be easily hacked or manipulated. Its practitioners say it is “immutable,” to use their terminology, because of the sequential nature of their blocks. To tear out a “page,” for example, is impossible without somebody noticing the intrusion on a particular block’s “fingerprint”. Each “chain” has its unique content code and comes referenced to its predecessor and successor, making data changes difficult. The technology relies upon a peer-to-peer relationship. It differs from the traditional client-server model whereby an administrator manages data and can easily make changes to it. In other words, for a hacker to infiltrate a blockchain, they would have to re-write the whole system, a labour-intensive effort that even the most sophisticated of the current artificial intelligence augmentative systems cannot accomplish. This is why the Ukrainian government is using the technology to manage its registry of farmland with the help of technology from BitFury Group, a global technology firm that has an office in Kyiv. The announcement of this initiative came in April 2017. By September, Ukraine’s Justice Ministry had started using the platform to auction seized assets and begun transferring state property and land registries. In this particular case, the technology helped create a ledger of transactions – a chain of blocks – to permanently record and track assets or transactions. This is a potentially crucial upgrade in a country rife with institutional corruption and suffering from numerous examples of shady business partners illicitly taking over businesses by doctoring land or business ownership titles with the use of dishonest notaries and judges. Ukraine currently ranks among 14 global leaders in blockchain innovation, Ukrainian government advisor Kostantyn Yarmolenko told guests at the latest World Economic Forum in Davos. As home to Eastern Europe’s largest pool of programmers, Ukraine was specifically mentioned as a “network hotbed” in the Blockchain Research Institute’s report that its CEO and co-founder Don Tapscott also presented at Davos. Additionally, Ukraine helped contribute to the 45% of developers that helped launch “initial coin offerings (ICO)” in 2016 among former USSR republics, said Paienko of Bitfury. So far, the financial services sector uses the technology the most. The technology assists banks in areas of transparency, trade finance and as a payment system. 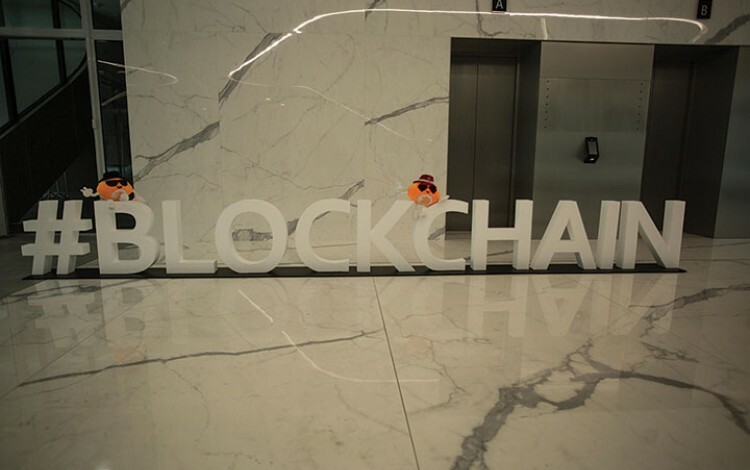 Other commercial uses include securing provenance, patents and copyrights, said Kristof Van de Reck, Holland-based regional head of Europe and council member of the non-profit NEM.io Foundation. His foundation has developed the technology that a group of Australian farmers now use for tracking supply-chain logistics. Because the technology is still at the trial-and-error stage, it is difficult discerning where the hype ends and where meaningful application begins, visionaries at the Vilnius event conceded. “It’s a ‘chicken or egg’ issue, really,” said Dr. Antif Ansar, program director at the Said Business School at Oxford University, who advised the government of Gibraltar on regulating the use of blockchain technology. The hype certainly drives interest in the technology. Just by mentioning that it will start using blockchain, “a company can raise its share price,” quipped Layla Dong, who flew to Vilnius direct from the World Economic Forum in Davos where she had been part of the Global Shapers Community. It also encourages charlatans and helps to fuel the proliferation of business scammers that launch ICOs without even using blockchain. About the author: Mark Raczkiewycz is an American journalist based in Kyiv where he works as The Ukrainian Weekly’s in-country correspondent. He has contributed to Bloomberg, The Financial Times, The Associated Press and other international media publications.